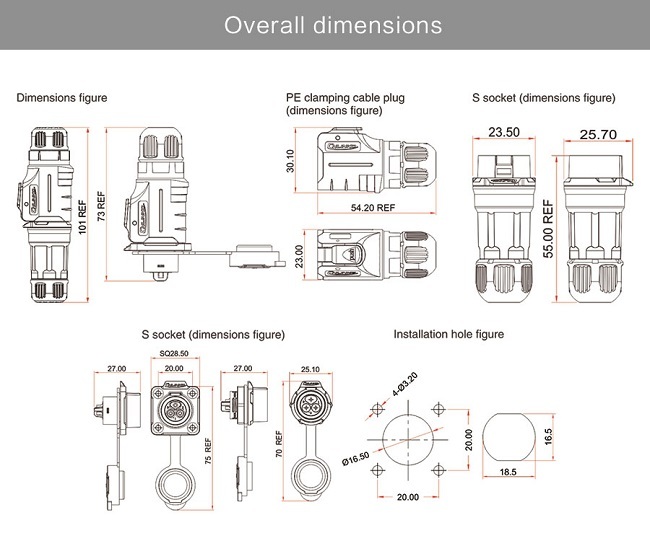 LP-16 type connector are high quality and high precious with highest quality performance under harsh situation, be widely used in lighting system, Audio, Medical equipment, industrial control and testing measurement equipment and so on. 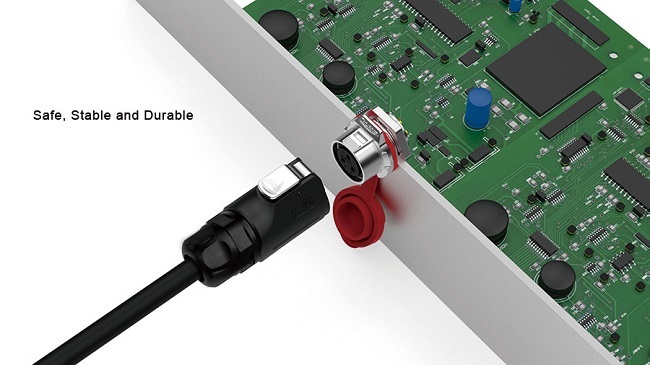 1.With multii-core(2-9 core)design to fit with different industrial needs. 3.Humanization design achieved blind operation. 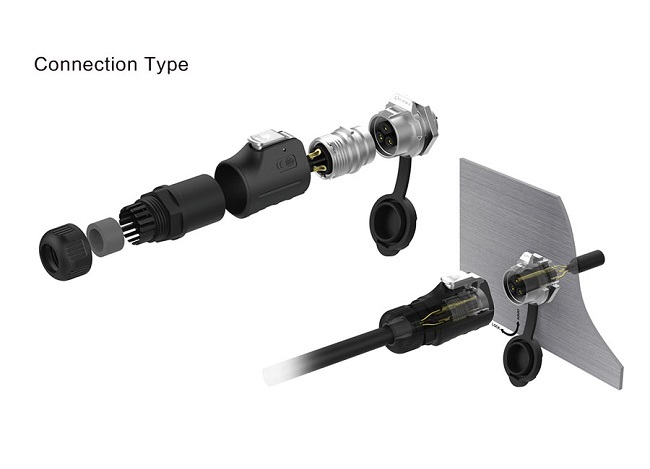 4.Both soldering and crimping are available. 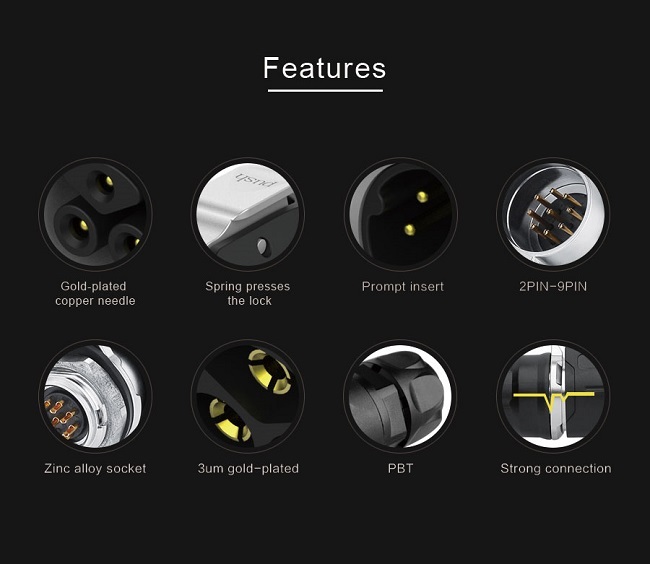 5.Socket and internal made of zinc alloy, with well protected electromagnetic and radio frequency interference. 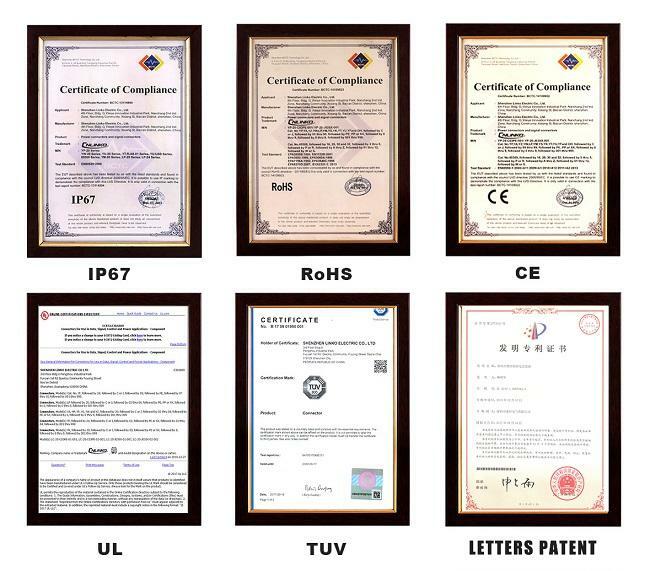 6.Gold-plating, high sterength corrosion resistance and electrical conductivity. 7.Shell made of material PBT, stable electrical performance, high strength and resistance to pressure,high temperature resistance, anti-explosion, anti-corrosive. 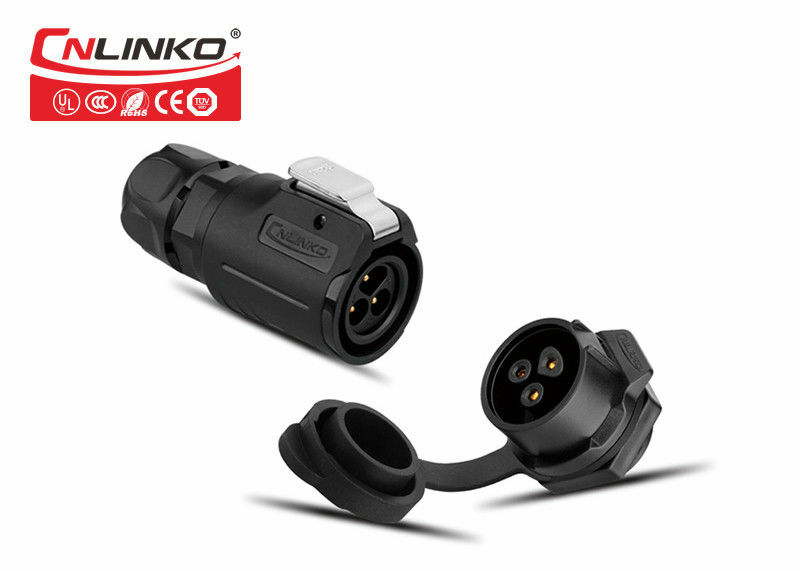 8.Both cable connector to cable connector and cable connector to panel mounting are available.